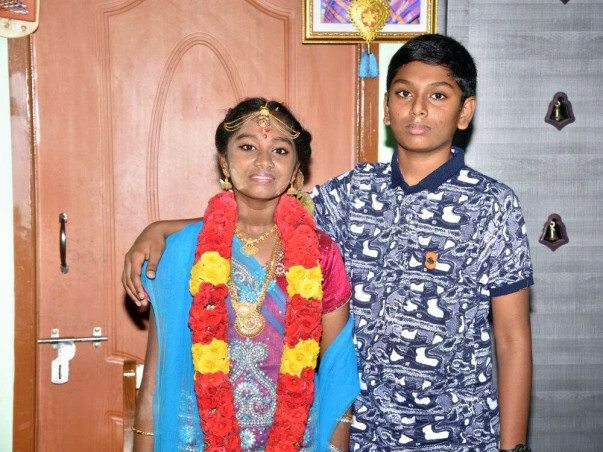 A few months back, 13-year-old Devadharshini, daughter of Chandru, was diagnosed with a form of blood cancer called Acute Myeloid Leukemia. 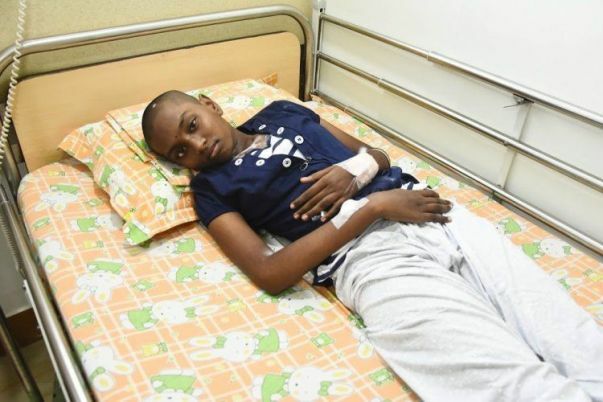 By the time cancer was diagnosed, her gums were swollen and she couldn't even talk. 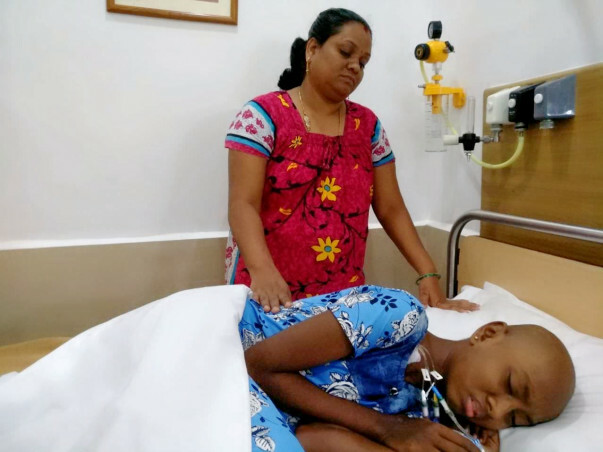 The only treatment for her now is chemotherapy which is amounting to around 10 Lakh Rs. 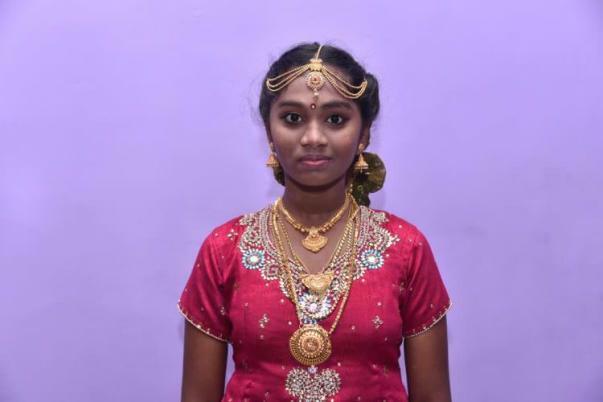 13-year-old Devadharshini is a fun loving person. Her presence has always made people around her happy. But now, this bubbly girl hardly looks like herself anymore. 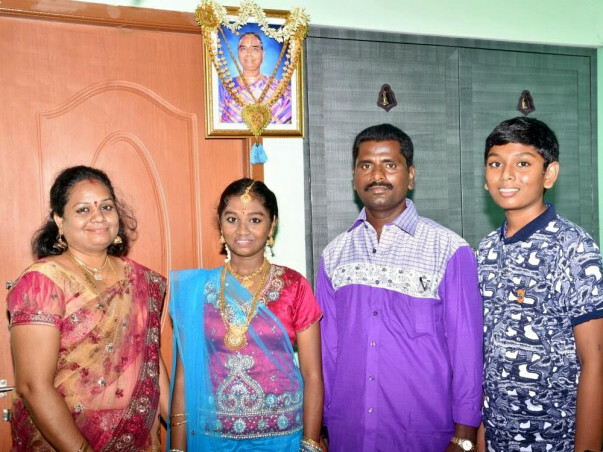 Chandru is a driver and he earns Rs 8,000 on an average and Nandhini is a homemaker. In just 2 weeks of the hospital admission, they spent nearly 5 lakhs. 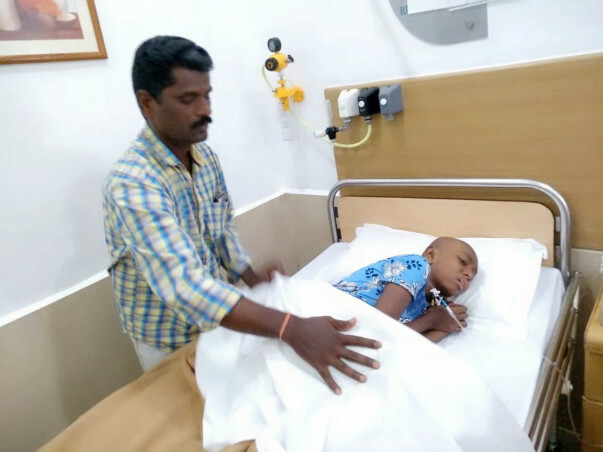 They need to spend 10 lakhs more for the induction chemotherapy in the coming days. 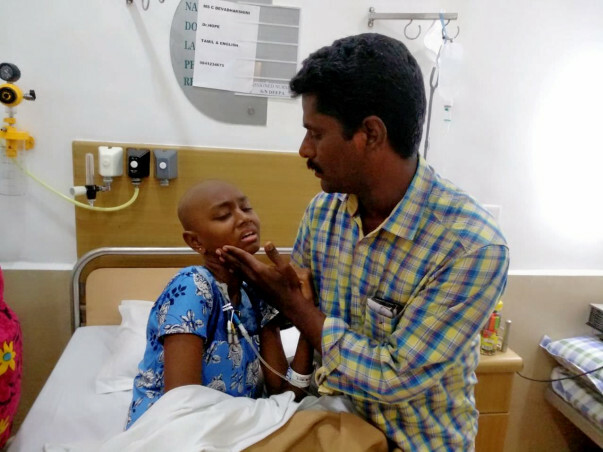 This is far too high for Chandru to afford who needs our help to save his daughter. She is longing to go back to school and believes she will return home soon. 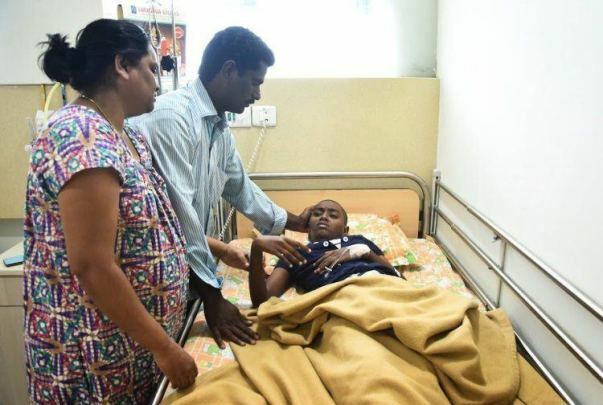 Your contribution can give Devadharshini the treatment she deserves. 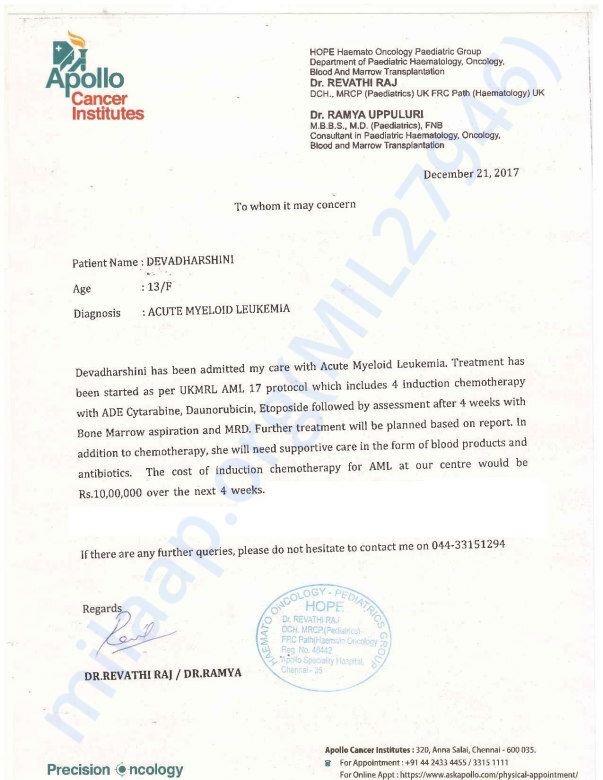 Devadharshini is still under post-transplant recovery. She is following up with the doctors weekly and remains on bed rest most of the time. 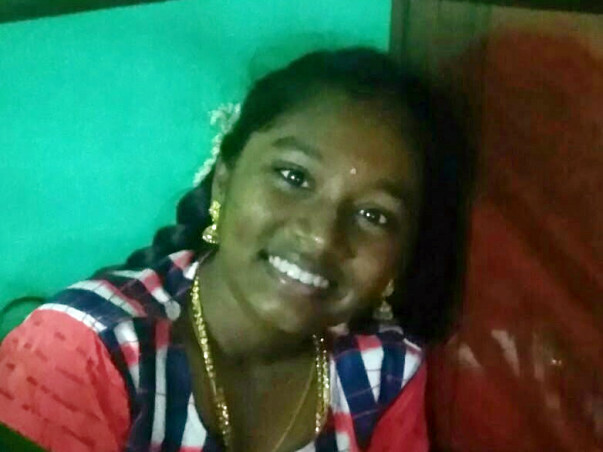 She is under prescribed medication which will go on for an year. 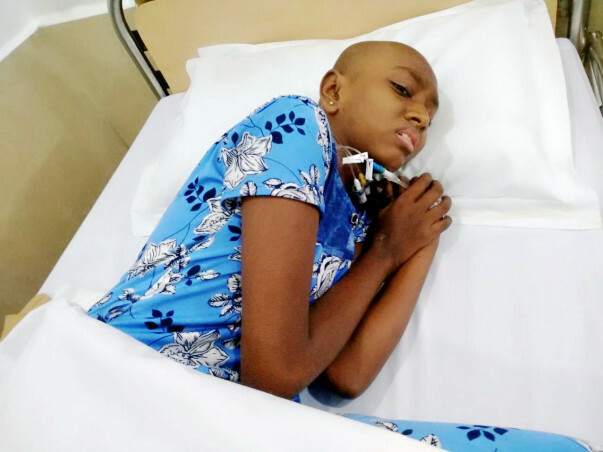 Her life is still surrounded by check-ups and medicines because of which she is unable to join school or play like rest of the kids of her age. Me and my wife hopes and pray that she will recover soon. Thank you so much for your support and love, because of you all she got a new life, thank you so much. 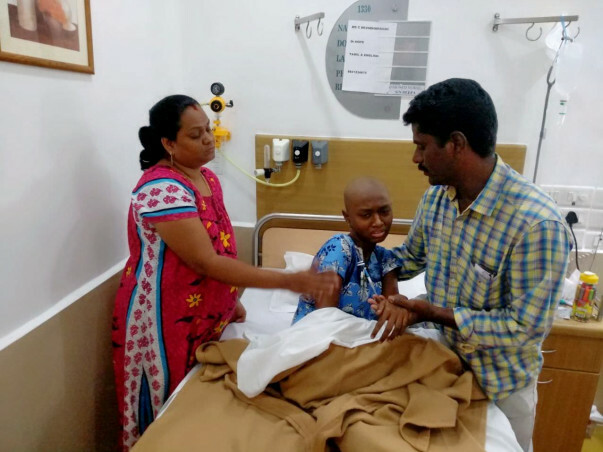 Devadharshini underwent a successful Bone Marrow Transplant 50 days ago. I, her father, was the donor. As of now, she's doing well compared to earlier. 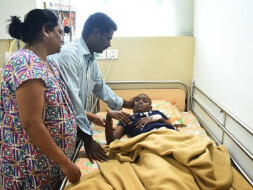 There were few complications post transplant such has pain in legs and weight loss for which she has been kept under medication. As of now, she's on bed rest and she doesn't make much movements. Doctors have suggested that it will take sometime for her to completely recover also, they will keep a check on her health meanwhile. This couldn't have happen without the support of you all, My family will always be grateful to each one of you. Allah tumhey is bimari is chutkara dilaye. Aur tum apne parents ke saath khelo.